It’s time to update your wardrobe with relaxed wear. 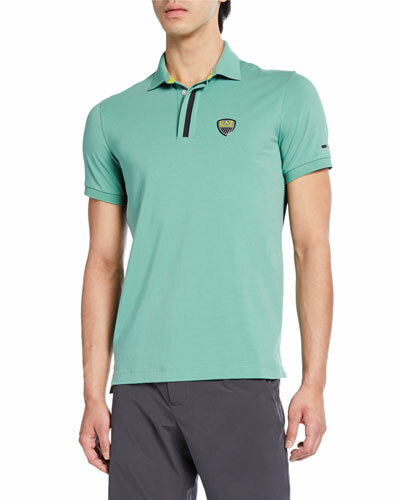 At Neiman Marcus, we provide you with an impressive selection of men’s polos in cool and vibrant colors. 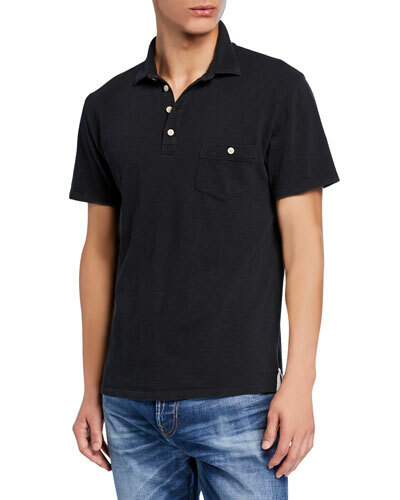 Our designer assortment of men’s polo shirts will instantly add a dash of fashion to your ensemble. If you want to keep your style casual, our short-sleeve polo shirts are the ideal options to choose. 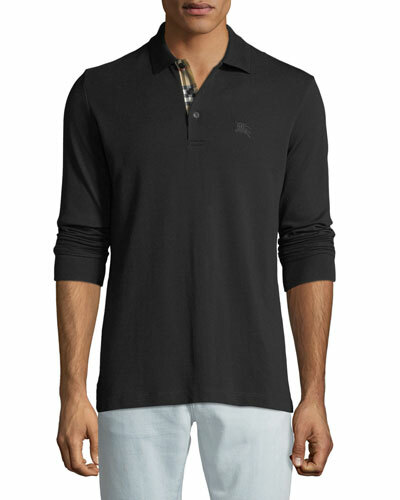 For a more sophisticated look, pick from our long-sleeve polo shirts. 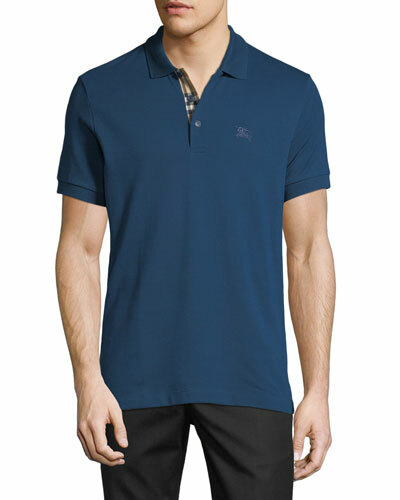 Redefine each look with our exquisite collection of polo shirts. 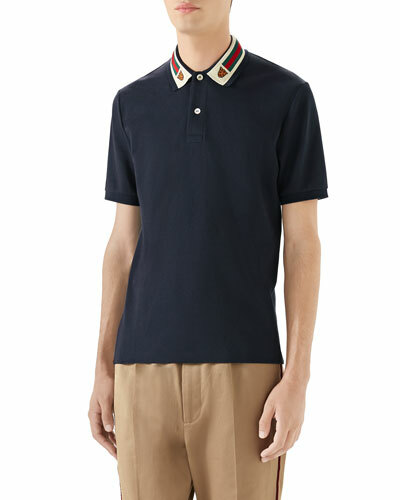 Shop Neiman Marcus for a wide assortment of men’s polo shirts. 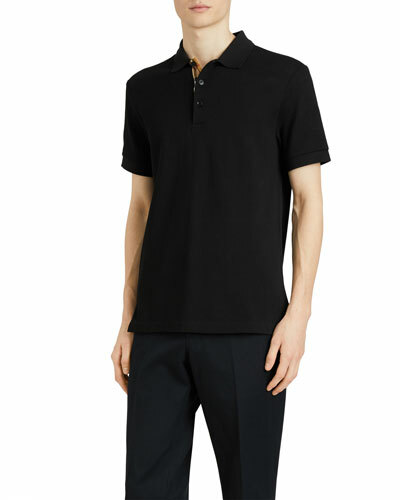 Lanvin polo shirt. Tonal grosgrain trim at spread collar. Three-button placket. Short sleeves. Pullover style. Vented hem. Classic fit. Cotton. 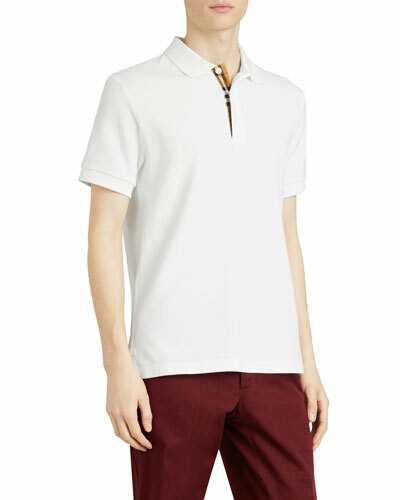 Lanvin polo shirt. Tonal grosgrain trim at spread collar. Three-button placket. Short sleeves. Pullover style. Vented hem. Classic fit. Cotton. Made in Italy. Model's measurements: Height 6'1"/185cm, waist 32"/81cm, typically wears size M.